Big changes are happening over at Roberto Cavalli. This morning, it was announced that Cavalli sold 90 percent of his company to Italian private equity firm Clessidra SGR, reports WWD. The label initially tried sign a deal back in 2009, though failed to do so. According to Cavalli, the deal will "further develop what I have built in a lifetime" and that, as he told WWD, Clessidra SGR will "provide financial, managerial and human resources that will allow the company to grow further and face the challenges of the ever-evolving luxury market." In light of this news, we started digging around on Cavalli&apos;s site, and came across a goldmine: The official Roberto Cavalli blog. 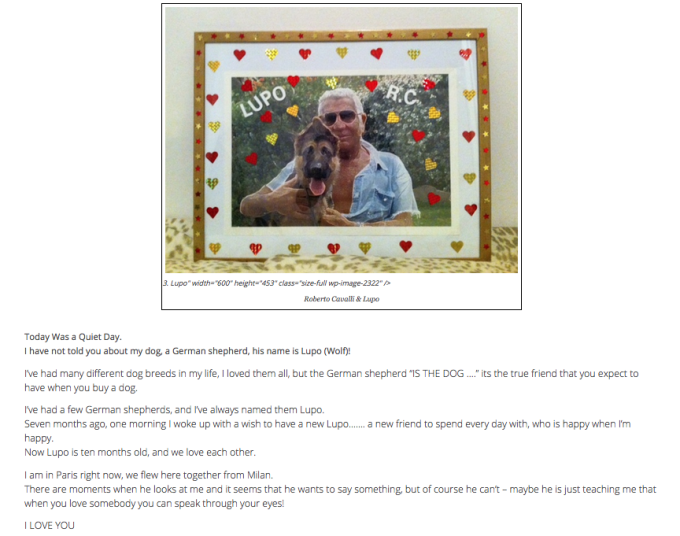 Cavalli started his blog back in 2009. His goal, as he said, was to "make you smile, not with fairy tales but with real stories of my life." (Sidenote: Anyone else notice the alias "i-love-fashion"? lol.) After 12 pages and 373 entries, you really get a feel for Cavalli&apos;s lifestyle, which is to say a very luxe lifestyle. 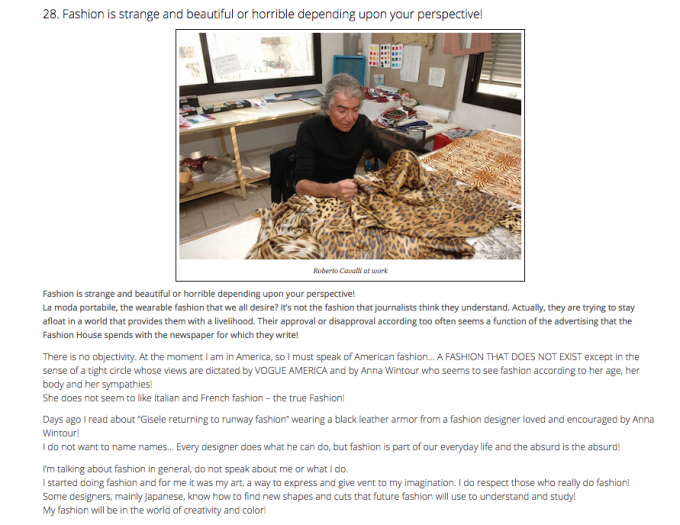 The fashion designer writes all of the entries, save for press clippings, like actual diary entries, which makes the blog all the more interesting. I mean, you can only imagine what and how he writes/speaks—the site is a black hole for ridiculous and/or amazing quotes. "I am afraid that I am going to grow wings… I seem to spend more in the air than on earth," he wrote in one post about traveling. But there are also a few interesting tidbits. 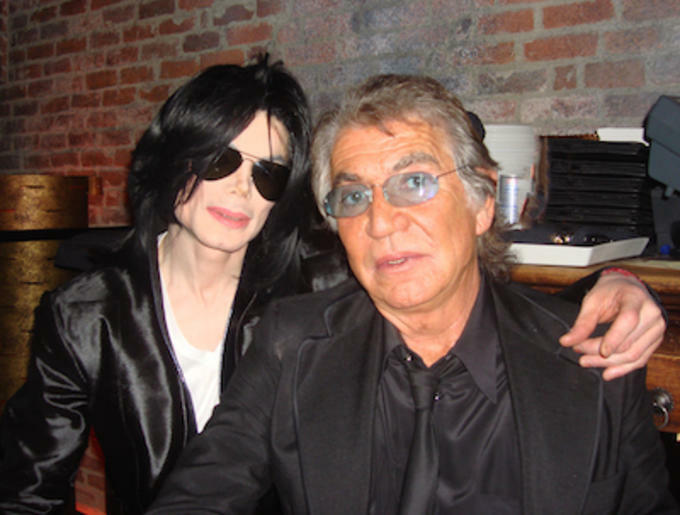 As promised, he shares stories and experiences with readers, including having dinner with Michael Jackson. And having dinner at the home of legendary fashion designer Azzedine Alaïa. There are also behind the scenes photos at his studio, stories of how Cavalli started and built his empire. 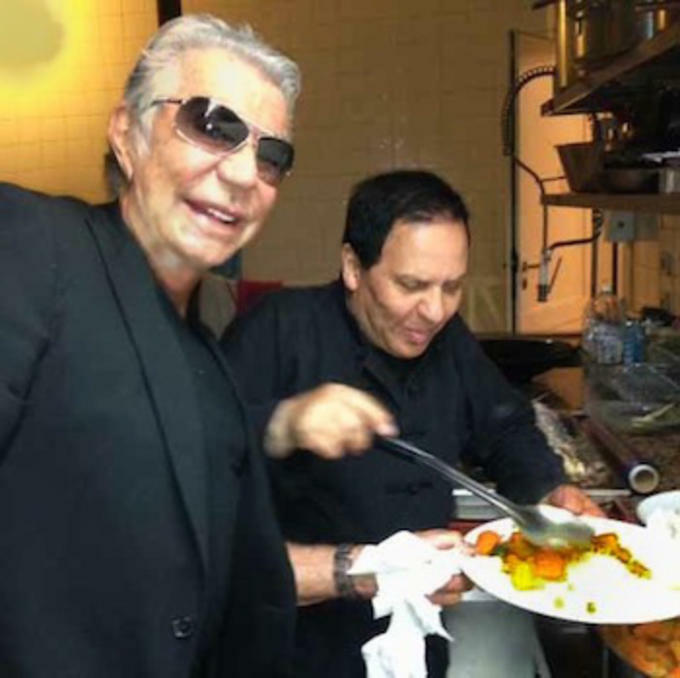 But the most interesting entries are definitely the ones about what it&apos;s like to live like the outspoken Roberto Cavalli, who dressed up as Karl Lagerfeld for Halloween after calling out Lagerfeld for his "ridiculous" style and designed a gaudy Miami restaurant.